Many view insurance as a complex matter. Employers of small businesses may decide not to offer their employees insurance, but what they don’t realize is that there are actually a lot of benefits to purchasing small group health insurance. Retention: Insurance is an important thing to consider with any job. Even if you’re a small business, having insurance will appeal to employees and help keep them happy while they’re working at your company. The happier they are, the more likely they are to stay there. Group health insurance plans for businesses in California can help your company retain the best employees and lower the costs of training and hiring new employees. Access: Insurance can help your employees have access to better healthcare, which can keep them healthier and able to keep coming to work. This often makes employees more productive and improves the success of your company. Tax advantages: There are quite a lot of tax benefits to providing your employees with small group health insurance. Related expenses can often be used as tax deductions and, under the Affordable Care Act, small businesses are often eligible for tax credits just for providing insurance. Avoid penalties: If your small business has at least 50 employees, you can be penalized for not providing insurance. Avoid those penalties by just purchasing a small group health insurance plan. Happier employees: There are so many reasons that health insurance can improve your employees’ happiness. Aside from offering better access, group health insurance can be less expensive for employees than individual insurance and it therefore lessens the financial strain on your employees in their personal lives. Who can help me sign up for small group health insurance? 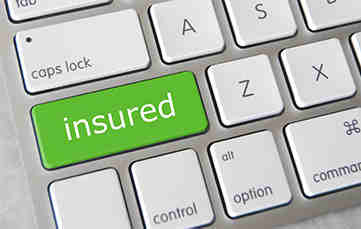 Find affordable medical health plans in California with California Insurance Finder. Our experts can help you understand the variety of small grup health insurance plans and determine which plan makes the most sense for your business. For a free consultation on group health insurance plans for businesses in California, please give us a call at 714-960-4700 or contact us via our online form.